The cost of plumbing repairs can vary widely depending on where you live. For example, in southern California, the cost of having a plumber fix a drain clog ranges from $75 to $250, depending on whom you call. To be sure that you don’t overpay, you’ll need to do your homework and be proactive. Don't be afraid to call around and get different price quotes, no matter what the job. You should ask for an estimate of the cost before you hire a plumber for any job, big or small. Ask friends, family, and neighbors for recommendations of good plumbers they've hired. Word of mouth can be the best source for finding a reliable and reasonable plumber. Don't overlook online directories, such as Angie's List and others. They can be great sources for finding plumbers with good customer reviews. 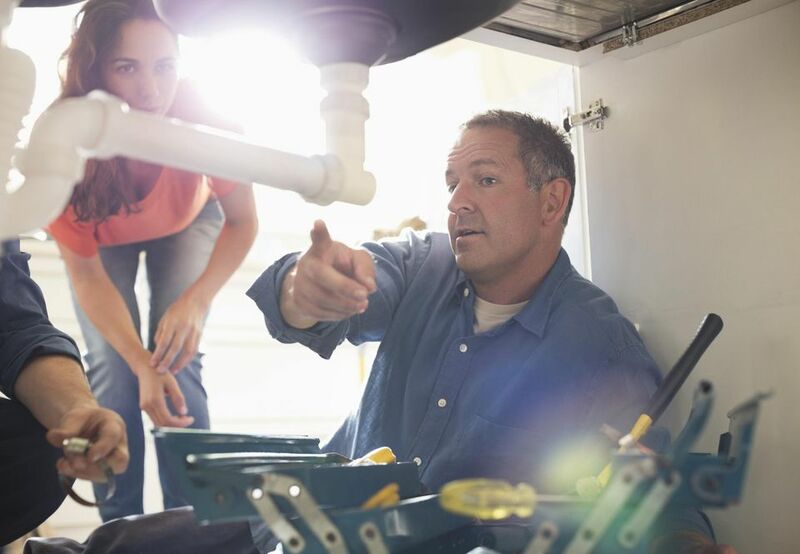 A local hardware store may also be able to recommend skilled plumbers in your area. If you are using the phone book, don’t overlook small ads and single-line listings of local small plumbing companies. Remember that those large ads cost money. Small companies may not have large advertising budgets partly because their prices may be lower. Sometimes local plumbers can offer more reasonable prices simply because they don't have to drive as far. After you call the well-known, larger plumbing companies, compare their prices with the smaller companies to establish a range of fair pricing. Ask for an estimate over the phone. Phone estimates are not always possible, especially when you don’t know the exact source of the problem. For the more common repairs, however, you should be able to get a rough price range over the phone. Asking for this is also a good way to gauge customer service. If one company refuses to give you prices (or at least a range) while other plumbers are willing to estimate the price over the phone, they may be more focused on the sale than the customer. Look for strong customer service, which can lead to a long relationship with a trustworthy plumber. If they offer free in-home estimates, be sure to ask whether the estimate is free even if you don’t hire them. Sometimes these offers for free estimates have a catch—they are only free if you agree to let them do the work; otherwise, you pay for the service call. Consider the cost of doing it yourself—but don’t forget to include your time and effort. If you have the time and you are looking to save some money, you may opt for doing the work yourself. In that case, you may still want to call around and get some estimates from plumbers to find out how much you’ll be saving. If you know what a plumber will charge, you can get a better idea of your true savings after adding up the cost of tools, material, and time.